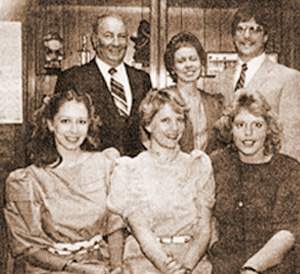 Serving the Clarksville communities since 1950, Sites Vision Clinic has been in the Sites family and providing high quality eye and vision care to families for over 60 years. Our Clarksville eye doctors Dr. Brian Murray, and Dr. Paula Murray and all of our staff look forward to providing you, your family, and our communities with outstanding eye and vision care today and for many years to come. Our eye doctors and staff proudly provide our communities with a complete menu of eye care services. We see patients of all ages, customizing eye examinations for patients at any stage of life including infants, toddlers, children, teens, young adults, adults, and seniors. As a part of your comprehensive eye exam, we can also incorporate specialized care for sports vision, computer vision, and contact lens evaluations. In addition to offering comprehensive eye examinations, we also provide frames, glasses, sunglasses, and contact lenses through our in-house optical department. Our Clarksville optometrists and clinics are trained and equipped with all of the necessary tools to diagnose and treat any eye conditions which might be diagnosed during a comprehensive eye exam, such as dry eye, glaucoma, astigmatism, nearsightedness and farsightedness, cataracts, macular degeneration, diabetic retinopathy, and more. We also provide pre-op and post-op evaluation and care for eye surgeries like LASIK and cataract surgery.